The most important thing a new mother can do for herself and her baby is be selfish. When I say a new mother should be selfish I mean she needs to prioritise herself and her well-being. Her only responsibility should be to rest, look after and get to know her new baby. Being selfish means staying at home, in bed, in her pyjamas. Being selfish means leaving the chores, the laundry and the cooking to someone else. Being selfish means ignoring the outside world, all of those messages and people wanting to visit can wait. And she should do this for the first month to six weeks after giving birth. She should have what I call a 'mothermoon'. I know it feels unrealistic and indulgent to say that you're going to stay in bed and not pick up the hoover for six weeks. There's too much to do, life goes on. There are messages to respond to, meals to cook, laundry to do, bills to pay and perhaps even older children that need you. We also live in an increasingly isolated society, but new mothers do not thrive in isolation. They need a village. That village might be made up of her partner, her family and her friends. It might mean investing in a postnatal doula so that she has the support she needs so she can be selfish. But it is necessary. It's necessary for your body, your mind, and your well-being. I learned this the hard way after I gave birth to my first baby. I wanted to get back to normal. I didn't rest. I was playing hostess and tour guide around London for visiting relatives when I should have been in bed cuddling my new baby and recovering from giving birth by caesarean. I felt like I had to get up and out. I felt like I needed to entertain. I felt like I should be back at it. It was indulgent to be resting. Struggled with my mood, with coping, with lack of sleep. All of that not looking after myself in those early days and weeks took it’s toll and I struggled to adjust to motherhood in a big way. Fast forward to baby number two, I wasn't going to let history repeat itself. I knew that I needed to look after myself so I could look after my baby. I knew I needed to plan for my 'mothermoon'. I had learned that when you're muddling through the tears and and the tenderness and the milk and the sweat and the emotions and you're tired and feeling depleted from sleepless nights and the relentlessness of caring for a newborn, prioritising your own self-care and being selfish makes it all a little easier to deal with and makes you a better mother. 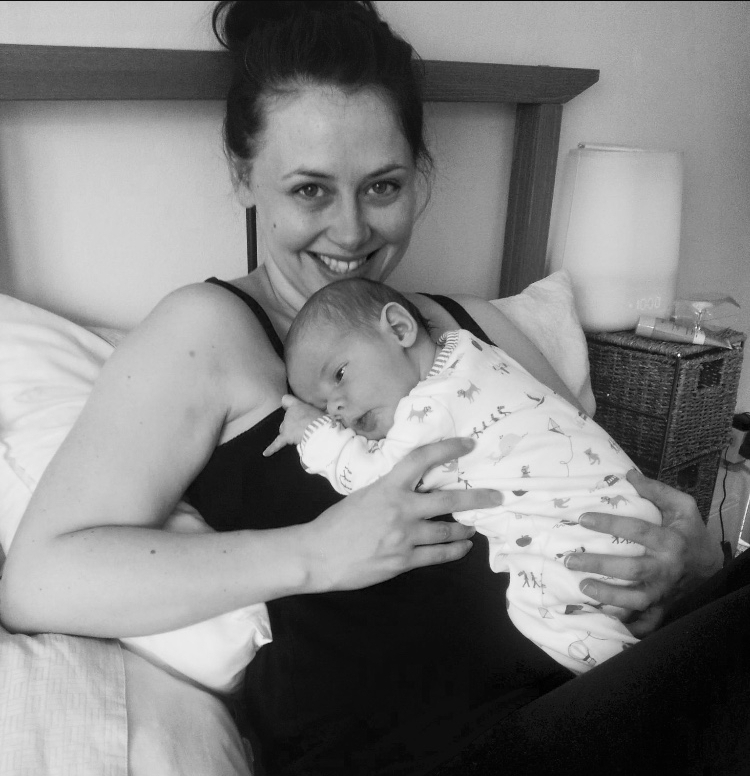 I don't want other mums to make the same mistakes I did, which is why I've developed my Mothermoon Workshop to help mums-to-be to prepare for life after birth. Drawing on my experience as a mother, postnatal doula and antenatal teacher, the workshop covers what to expect in the early days and weeks after giving birth, how to look after yourself and prioritise self-care and make a 'mothermoon' plan so you can be selfish. It's everything I wish I'd known and done for myself the first time around. The next workshop is the 28th of January. Book your spot here and give yourself the start to motherhood that you deserve.